2018 CHAPTER OF THE YEAR - SEPA SHRM! Southeastern Pennsylvania Society for Human Resource Management (SEPA SHRM) serves the needs of human resource professionals who live or work in the Greater Delaware Valley, including Northeast Philadelphia, Bucks and Montgomery Counties. SEPA SHRM has about 450 members, representing more than 200 organizations. SEPA is an active chapter of the Society for Human Resource Management (SHRM), an international organization with more than 200,000 members. You can find them online at www.sepashrm.org. The PA SHRM Chapter of the Year award recognizes outstanding achievement in chapter initiatives and contributions to effective HR management. Each year PA SHRM will award one chapter $2,000 at our Annual State Conference. 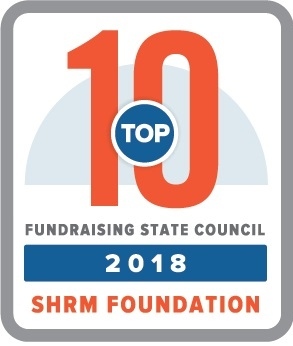 PA SHRM State Council will also make a contribution of $500 to the SHRM Foundation in the winning chapter’s name. Complete the chapter self-nomination form and submit it with all supporting documentation to Victoria Krotzer at pashrm@gmail.com by August 1st. Entries will be evaluated by a committee appointed by the State Council Executive Board. The decision of the committee will be final. The State Council recognizes that some chapters run on a calendar year basis and others run on a fiscal year. In an effort to treat each chapter equally and give the evaluation committee time to review all applications prior to the conference, the nomination year will be for the calendar dates of August 1st of the previous year to July 31st of the nomination year (e.g. the 2019 Award will be for the period of August 1, 2018 - July 31, 2019). Please note that your Chapter should submit a nomination form even if you have nothing to report in one or more initiative areas. Judging will be based on quantitative and qualitative scores. Chapters scoring the highest total points in the quantitative section will move on to the second round of judging based on qualitative results. So often programming is geared towards strategies to assist HR professionals in getting a seat at the “Executive Table". This chapter decided to reverse their approach and build support for their members by bringing decision-makers and stakeholders to the “HR Table” instead. To engage both HR Professionals and company stakeholders and decision-makers, the Workforce Development Committee offered a breakfast program during July 2017 entitled “Cultural Changes in the Workplace,” providing their chapter members with a platform and skills to impact, contribute to and drive the overall strategy and direction of their organizations. A panel of CEOs presented experiences on the why’s and how’s of building culture and why culture matters to every generation. CEOs and higher level executives attended the program with their chapter members. Through collaboration, they increased the perceived value of their chapter members within the businesses where they work. Lancaster SHRM holds three to four social mixers a year at various fun, unique venues throughout Lancaster County so their members have an opportunity to socialize and network with one another outside their more formal programming format. Each year they select a member to receive their “HR Person of the Year” award. They also recognize other nominees at the ceremony. They notify the award recipient’s company of the award to extend the recognition to their place of work. 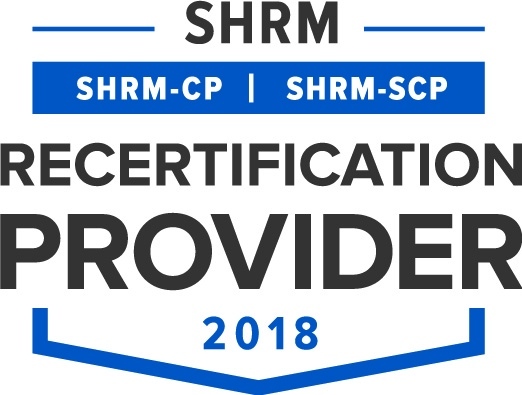 Each year from February through April, Lancaster SHRM facilitates a structured study group for members to prepare for the HRCI and SHRNM certification examinations. This educational opportunity is free to members. There are 10 sessions (one each week). The sessions are facilitated by long-standing, tenured LSHRM members. Their pass rate for attendees who take the certification exams has generally been higher than the National average each year they have offered the program. If an attendee passes the exam, he/she will be reimbursed up to $100 toward the cost of the study guide AND 75% of the exam fee, if their company did not cover the costs. Finally, each year, when fiscally possible, the Chester County Human Resources Association also offers, offers two scholarships to its members. One $1,000 scholarship for undergraduate studies and another $1,000 scholarship for graduate studies. Chester County also uses a two-step process where they call previous members who had not signed up for the new program year to remind them of the benefits of doing so, and also mail them the letter that had the upcoming meeting schedule with the topics and Presenters listed. They also reach out to new members after they had attended a few meetings to get their feedback. In addition, they held a Networking event in early November specifically to recruit new members (membership year is Sept – Aug) and encouraged current members to bring other HR colleagues who are not members of their chapter. At the Networking event, they raffle off a Convenience membership (includes meals as well as membership) to one lucky attendee. This is an incentive for some folks who are interested in a membership to attend. Considering that the York Chapter is a small chapter with only 150 members, it is a very active and robust chapter. All of the SHRM CLA positions are represented on its Board. As part of their SHAPE plan, this chapter started a new member recruitment strategy where members are rewarded for referring their colleagues to the Chapter. The more new members that a current member recruits, the more rewards that are earned. If a current member recruits 5 or more new members to the Chapter he/she is entered to win a free one-year membership to the Chapter. The Board also will contact those members who have not renewed their dues to find out why they didn’t renew. They continue, however collecting data to help improve upon what the Chapter does in an effort to retain its members. The York Chapter offers monthly programs with hot topics from Social Media in the Workplace to Healthcare concerns. The York Chapter sends weekly emails to its members to keep everyone up-to-date on the Chapter happenings, PA SHRM and SHRM National news.